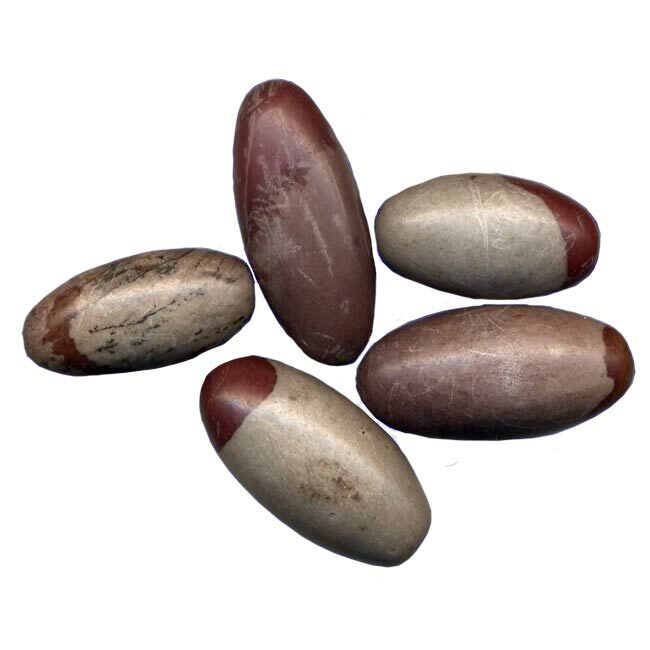 Find inner harmony with these healing Shiva Lingham tumbled stones. 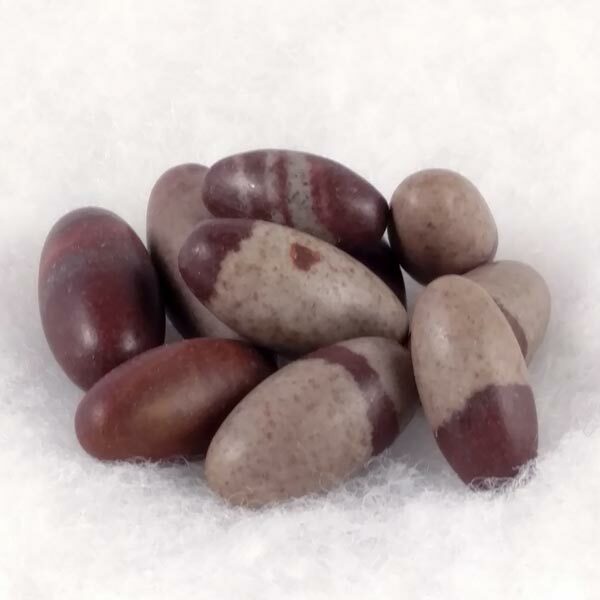 Each one has its own special coloring, variations and a very balanced energy. Their size is approximately 1 inch long and 3/8 inch diameter.